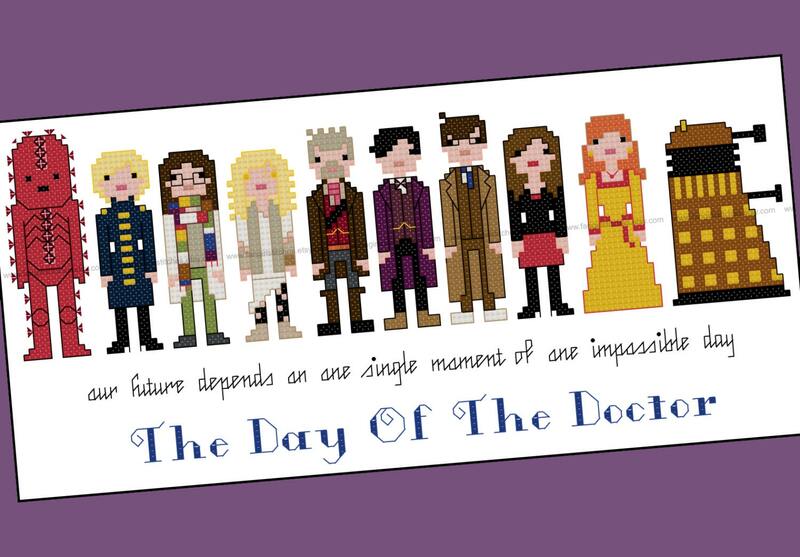 Celebrate the 50th anniversary of Doctor Who with your very own wall hanging, featuring the cast of the special anniversary episode, The Day of the Doctor. "I’ve been running all my lives, through time and space, every second of every minute of every day for over nine hundred years. I’ve fought for peace in a universe of war. Now the time has come to face the choices I’ve made in the name of the Doctor. Our future depends on one single moment of one impossible day. The day I’ve been running from all my life. 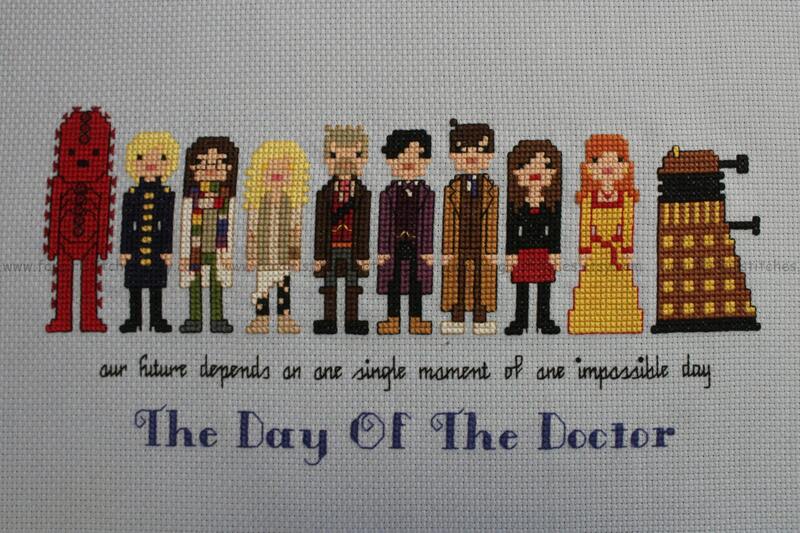 The day of the Doctor." This design features whole stitches and backstitch, with a couple of half-stitches and french knots. It’s suitable for beginners looking to stretch their skills. The pattern comes with two PDF charts - a colour one, and a second with coloured backstitch lines. The floss chart is DMC and Anchor, although of course you can adapt it to suit your preferred brand of threads (or whatever scraps you have on hand!). Great instructions and love that the back stitching instructions are in a separate file! Easy to follow instructions. Can't wait to finish it! 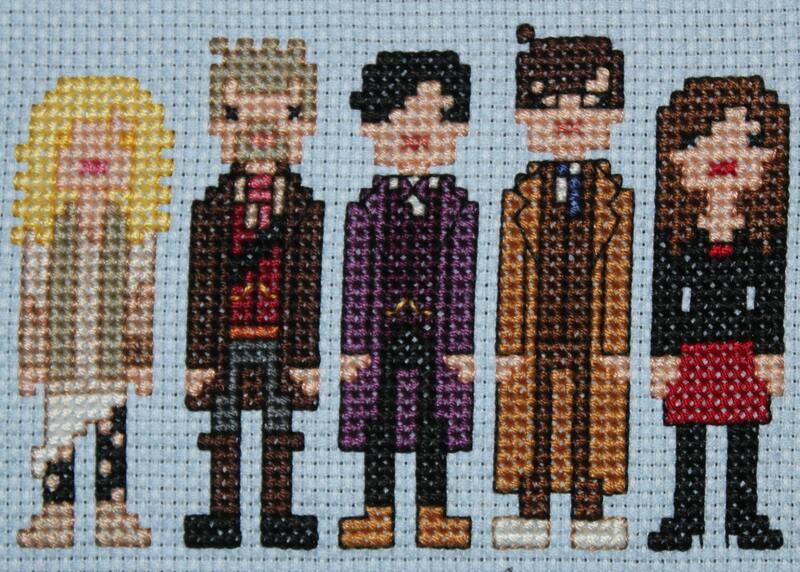 Really well-done portrayal of the various characters from the 50th...great pattern!